Taos Youth Hockey is a non-profit, volunteer organization here in Taos, NM built around the principles of hockey being fun. Our organization was established in the early 90’s and has only gotten better with age, and our youth players have earned 19 State Championships during that time. We offer winter and summer hockey to children in the Taos area ages 3-18 and want the entire community to know and understand that every kid is more than welcome to come play the coolest game in Taos. We host two Try Hockey for free events, one in November and one in February to introduce kids to our great sport. 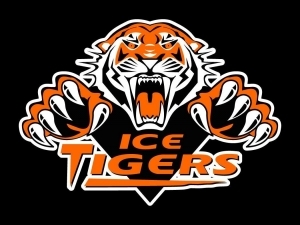 Participants may gear up and take the ice with coaches and other players working with them to let them experience the game in its purest form. Because our program has grown from such grass roots as the pond in Kit Carson Park, we have been featured in the national magazine “USA Hockey Magazine”. It is our extremely high quality youth program that also attracts 75-100 out of town teams to Taos each season and allows us to host 5 tournaments per season. During one of our tournaments in 2013 we even attracted a team from St. Thomas Aquinas, Ontario, Canada to come all the way to our lovely little town of Taos. These tournaments are a huge boost to our tourism and economic development within the town of Taos. It is our belief that our continued success is a direct influence on the sport and event related tourism model that also boosts our economic development.